Welcome to the BucketDescaler support page. here you will find specific information regarding support for this product. if you cannot find the information you need, please contact us. Can I use any descaler in this product? Short answer is maybe, but using SpeedClean’s SpeedyBright is smart in a few ways. One, it’s a phosphoric based descaler, not hydrochloric and therefore offers powerful performance but without the danger of corroding your sensitive heat exchangers. Secondly, SpeedyBright is classified by UL to NFS/ANSI Standard 60 for potable water systems. Others’ may not be. Oh, and one more thing. SpeedyBright is pre-measured for easy use. Dump it in and dump a gallon of water in and flush tankless heaters quickly. If you would like to use other chemicals, please refer to the support section of this page to download a compatibility sheet. I used vinegar and it didn't clean the system. What's wrong with your product? Using white vinegar is a popular way to clean light scale on household appliances. However, when it comes to cleaning more industrial products, like water heaters, it can be woefully inadequate. White vinegar has small amounts of acid that clean scale over a long period of time. It can take hours, sometimes days to complete a project. Products like SpeedyBright, our liquid descaler utilize custom blends of stronger acids and corrosion inhibitors to quickly descale. SpeedyBright can accomplish in 30 minutes what vinegar does in 4-6 hours. My tankless water has an automated flow switch that closes when the power is off. How do I use your product then? We recommend that you leave the power on to your unit, set thermostat to lowest temperature setting and then descale as per directions. Can I pump glycol through this unit? Yes, but only poly glycol. Any other glycol will cause irreparable damage to the unit and void the warranty. Liquid level too lowMake sure liquid level is above inlet hose strainer in bucket while circulating. Too much descaling solutionStop adding acid, Remove some liquid, neutralize and discard according local regulations. 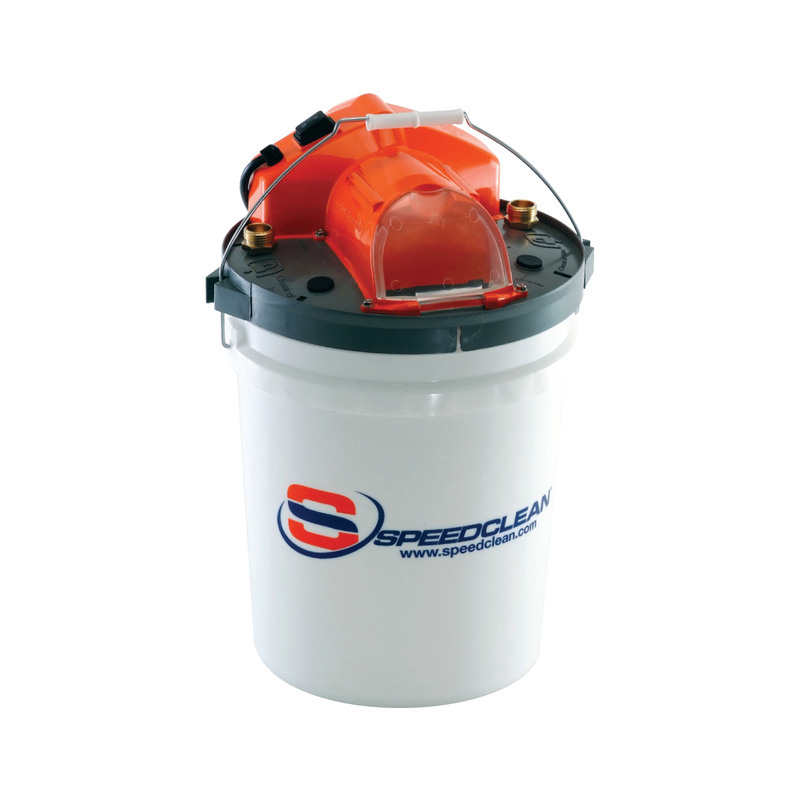 Every BucketDescaler comes with a 1 year parts and labor warranty. This warranty does not include unusual wear, abuse, damage resulting from accident, or to the unit, including using unapproved chemicals. Any repair made by others automatically voids this warranty. For repairs or warranty information DO NOT contact the place of purchase. Contact SpeedClean directly.